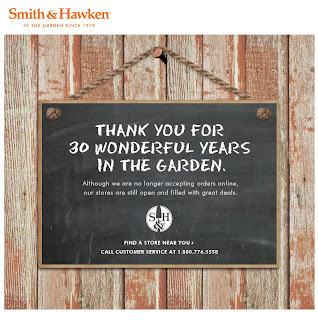 Wow, I just found out that our favorite high-end patio furniture and garden accessory store, Smith and Hawken, is going out of business and not even accepting orders online anymore. Apparently they are liquidating everything! Good time to pick up some bargains, though. Get there while supplies last! We just did a design for a garden in San Francisco, in Noe Valley, and it was installed last weekend. I think it looks great! One of the tenants that lives there has a blog and posted some pictures. Read about it more on their blog Fourspace. Photos courtesy of Fourspace--thank you! It was a tricky design because the space was small and needed privacy without creating a walled in feeling. Neighbors looked down into the space from the two and three-story houses on either side and behind. The property owners planted some bamboo for screening, and then needed a design to give them enough space for grilling, dining and entertaining, growing veggies (in the horse troughs) and some lushness to make it feel like a tropical retreat and cover some of the fence that surrounded the garden on three sides. It also needed to be fairly low maintenance and low water since it was a rental. So we created a tropical look, by using lots of big-leaved colorful perennial plants in shades of purple and chartreuse green, without using true tropicals that would need lots of humidity and be cold-sensitive. And evergreen flowering shrubs like camellia, dodoneia and cestrum have a lush look but don't require the amount of water that a lot of true tropicals do. Now they need to hit that sale at Smith and Hawken to pick up the perfect teak table and chairs!